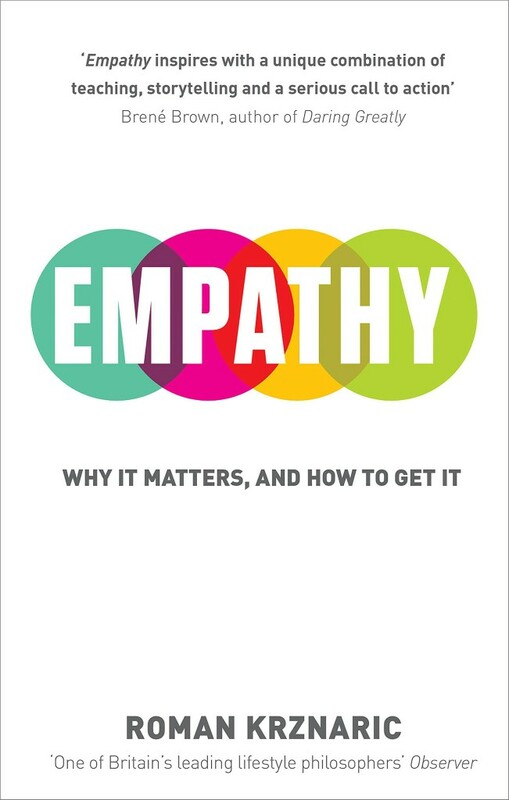 This book has been on my reading list and sat on my bedside table for some time but it was reading another book about empathy that prompted me to get round to reading Krznaric. This other book is Lori Gruen’s Entangled Empathy, which I will return to at the end but will review separately. Roman Krznaric, a ‘cultural think thinker and writer,’ defines empathy as ‘the art of stepping imaginatively into the shoes of another person, understanding their findings and perspectives, and using that understanding to guide your actions.’ (x) He describes compassion as the ability to ‘suffer with another.’ (12) He speaks of people using empathy and compassion interchangeably even though there are important distinctions between them. I agree. But at times it seems that this is exactly what Krznaric does. Maybe, I feel this way because I quibble with him on his definitions and the distinctions he draws between them. I understand compassion as the ability to connect with another and be compelled to assist them. This is the definition that I understand Krznaric gives to empathy whereas compassion as the ability to ‘suffer with another.’. Do these differences matter? Perhaps not. This maybe just me being pedantic; however, I came away from reading this book unsatisfied because of it and other reasons. I liked Krznaric’s sketch of how empathy evolved over time and his discussion of key historical figures who were exemplarily empathic. At times, though, I felt his personal opinions got in the way. I was also unconvinced by the exercises to develop empathy. Toward the end, I had the feeling that empathy was being turned into a consumable item. I’m sure this isn’t meant but it did feel like it. Nonetheless, this is a good introduction to empathy. It’s a useful reference. I recommend it to the general reader and particularly for animal advocates. I read Krznaric after reading twice Lori Gruen’s Entangled Empathy. 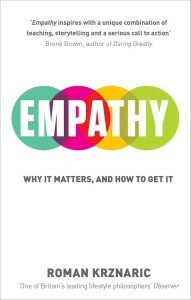 Reading Krznaric contributed to my general understanding of empathy but it’s Gruen’s text that I keep returning to. It’s not a large book but is does demand repeated reading. In Growl, I discuss animal ethics and its development with utilitarianism, the natural rights view, and ecofeminism. Each has something important to say but, as in all things, there is no monopoly on the truth. Having read Krznaric, I look forward to my third reading of Gruen and committing my thoughts to paper about it.